KIGALI- The trial of Rwanda’s leading dissident politician has opened with a demand from prosecutors that she be sentenced to 22 years in prison for inciting insurrection and forgery. 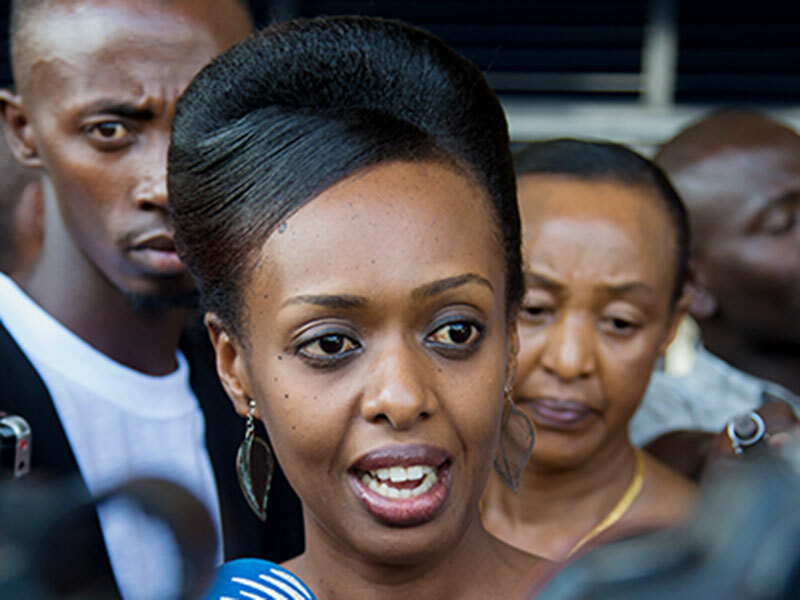 Diane Rwigara denies the charges, dismissing them as politically motivated after her blocked attempt to challenge the country’s President, Paul Kagame, in 2017 elections. The 37-year-old appeared in court in Kigali, on Wednesday alongside her mother, who faces a similar sentence for alleged insurrection and promoting ethnic hatred. In court, Rwigara was defiant, insisting she had only spoken the truth about Rwanda and so was not guilty of inciting the masses through falsehoods as the prosecution alleged. Watching proceedings in court was Victoire Ingabire, another woman who sought to run for presidency in 2010, but was blocked from competing, arrested, tried and spent six years in jail before her release this year. Ingabire was among more than 2,000 prisoners freed this month. Despite some discontent over unemployment and other domestic issues and a controversial reputation overseas, Kagame appears to be genuinely popular in Rwanda, which has had some of the fastest economic growth rates in Africa and has become known for its stability in a deeply troubled region. However, opposition activists, many in exile, say he runs a “police state,” jailing journalists and assassinating dissidents, even overseas. Others question the reliability of the economic statistics showing growth and allege that increasing cronyism could undermine economic progress. “The prison guard is none other than the ruling party … dictating to us how to live, what to do and what to say,” she said in an interview at her home in Rwanda’s capital, Kigali. Although the opposition Green party won its first-ever parliamentary seats earlier this year, Kagame and his party dominate. Rwigara is one of the very few openly critical voices in the country. The high court is due to issue its verdict, and any sentence, on December 6.